I've seen this scenario play out in almost every large company and government agency trying to grapple with disruption and innovation. They gather up all the "brand-name wisdom" in an advisory board, task force, panel, study group, etc. All of these people -- insiders and outsiders -- have great resumes, fancy titles, and in the past brilliant insights. But unintentionally, by gathering the innovators from the past, the past is what's being asked for -- while it's the future that's needed. You can't create a blueprint for the future. But we know one thing for sure. The future will be different from the past. A better approach is to look for people who are the contrarians, whose ideas, while they sound crazy, are focused on the future. Most often these are not the safe brand names. If your gathered advisory board, task force, panel, study group, etc., tasked with predicting the future doesn't have a third of contrarians, all you're going to do is predict the past. In the 1950s and 60s with the U.S and the Soviet Union engaged in a full-blown propaganda war, the race to put men in space was a race for prestige -- and a proxy for the superiority of one system of government over the other. 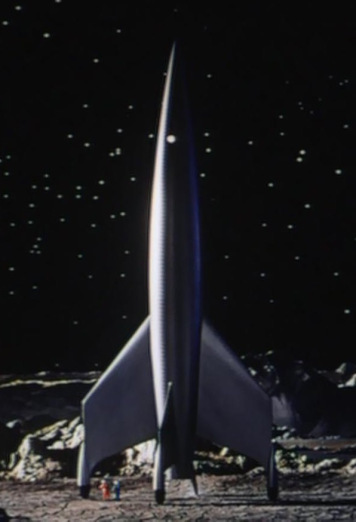 In 1961 the U.S. was losing the "space race." The Soviets had just put a man in orbit and their larger rockets allowed them to launch larger payloads and perform more space spectaculars than the U.S. The new President, John Kennedy looked for a goal where the U.S. could beat the Soviet Union. He decided to raise the stakes by declaring that we would land a man on the moon "before the decade is out" (brave talk before we even got someone into orbit.) This meant that NASA had to move quickly to find the best method to accomplish the journey. It wasn't clear that a rocket this big could be ready by the end of the decade. So NASA settled on the second option: Earth-orbit rendezvous. Instead of launching a whole rocket to the moon directly, Earth-orbit rendezvous would to launch two pieces of the spacecraft -- one at a time -- using Saturn rockets that were then in development. These pieces would meet up in earth orbit and send a ship, (still 65 feet tall as in the direct flight mode), to the moon and back to Earth. This idea was also a decade old -- it was how they proposed building a space station. The advantage of Earth-orbit rendezvous to go to the moon was that it required a pair of less powerful Saturn rockets that were already under development. To see the movie, click here. All the smartest people at NASA (Wernher Von Braun, Max Faget) were in favor of Earth-orbit rendezvous and they convinced NASA leadership this was the way to go. 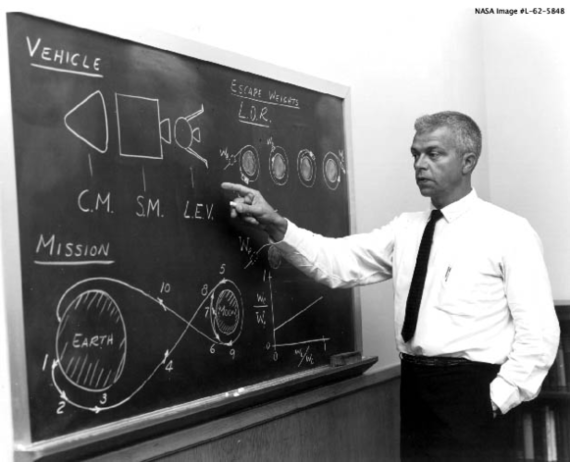 But one tenacious NASA engineer, John Houbolt believed that we wouldn't get to the moon by the end of the decade, and maybe not at all if we went with Earth-orbit rendezvous. Houbolt was pushing a truly crazy idea, Lunar-orbit rendezvous (LOR). This plan would launch two spaceships into Earth orbit on top of a single Saturn rocket. Once in Earth orbit, the rocket would fire again, boosting both spacecraft to the moon. Reaching orbit around the moon, two of the crew members would climb into a separate landing ship they carried with them -- the lunar excursion module (LEM). The LEM would detach from the mother ship (called the command module), and land on the moon. The third crew member would remain alone orbiting the moon in the command module. 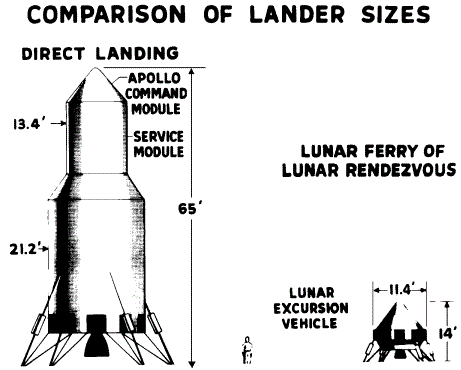 When the two astronauts were done exploring the moon they would take off using the top half of the LEM, and re-dock with the command module (leaving the landing stage of the LEM on the moon). The three astronauts in their command ship would head for home. Yet in 1961 LOR was a completely insane idea. We hadn't even put a man into orbit, let alone figured out how to rendezvous and dock in earth orbit and some crazy guy was suggesting we do this around the moon. If it didn't succeed the astronauts might die orbiting the moon. 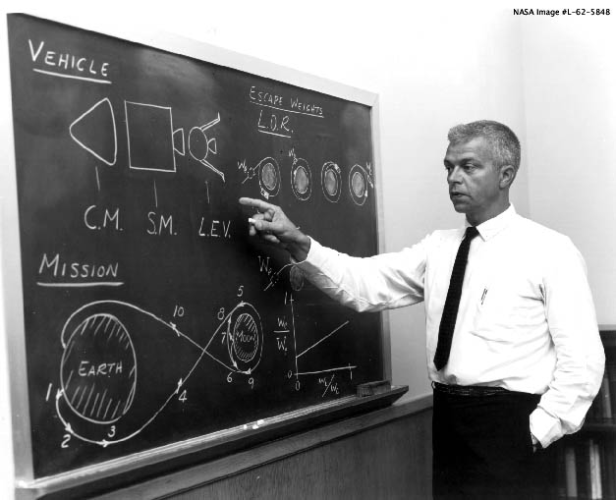 However, Houbolt wasn't some crank, he was a member of the Lunar Mission Steering Group studying space rendezvous. Since he was only a mid-level manager he presented his findings to the internal task forces and the experts dismissed this idea the first time they heard it. Then they dismissed it the 2nd, 5th and 20th time. Luckily, Houbolt got to make his case, and when Wernher Von Braun changed his mind and endorsed this truly insane idea, the rest of NASA followed. Or you'll never get to the moon. A third of outsiders who represent "brand-name wisdom"
They're in sync with the crazy insiders and can provide outsiders with "cover"